Posted by Stuart Herbert on November 10th, 2010 in Desktop Wallpaper, Travel Photography. During my evening in Bath last week, I was always going to be up against the clock before darkness fell. 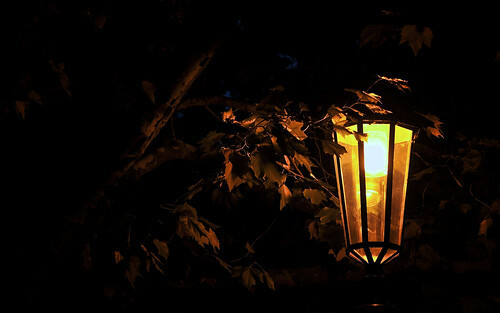 But there was still plenty to photograph once the light was gone, such as this lamp illuminating the leaves of the tree that towers over it.